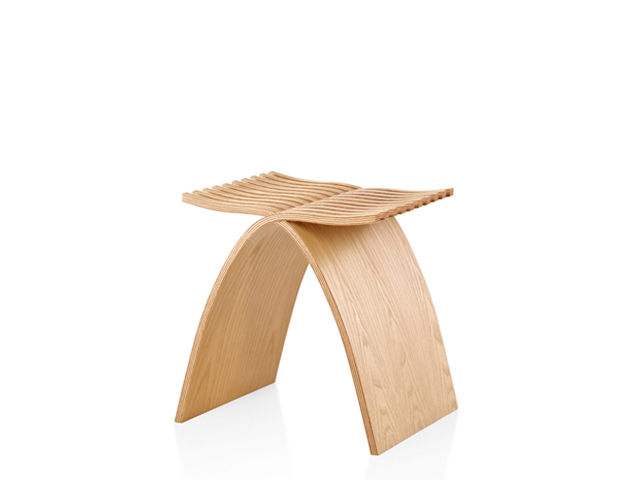 A deceptively simple, sculptural structure that’s pleasant to sit on and beautiful to look at. Pondering her new project – to build a better stool – designer Carol Catalano noticed her own entwined fingers and had her answer. The Capelli stool is two identical plywood pieces, each with undulating 'fingers' at the top that interlock without tools or fasteners. It's an ingeniously stable and graceful structure that's pleasant to sit on and simply beautiful to look at. Composed of alternating dark- and light-stained hardwood inner plies and light ash veneer. And here's the surprise: you can unfold the stool into its two halves, which can be stacked together for easy storage. 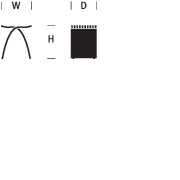 Herman Miller veneers meet strict testing standards for resistance to wear, light, stains, water, and pressure. To reduce the risk of damage, take some precautions: Use coasters for glasses and mugs. If a glass top is added to the veneer surface, be sure it rests on felt pads. Don’t place a potted plant on a veneer surface unless it’s in a water-tight container or in a drip tray. Don’t let vinyl binders stay on a surface for very long. Use protective pads under equipment with “rubber” cushioning feet.